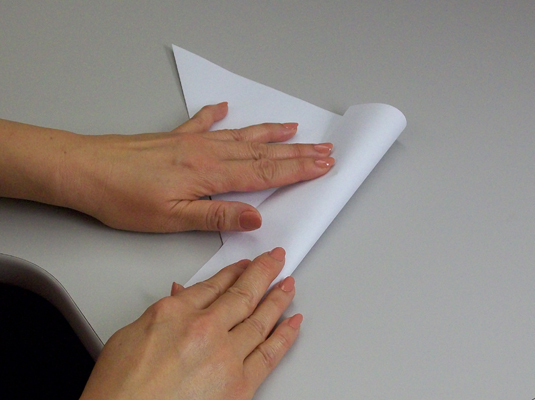 Starting with a standard 8-1/2 x 11-inch sheet of paper, fold two adjacent edges together and make a crease. If your paper is already perfectly square, you can go ahead and skip to Step 4. 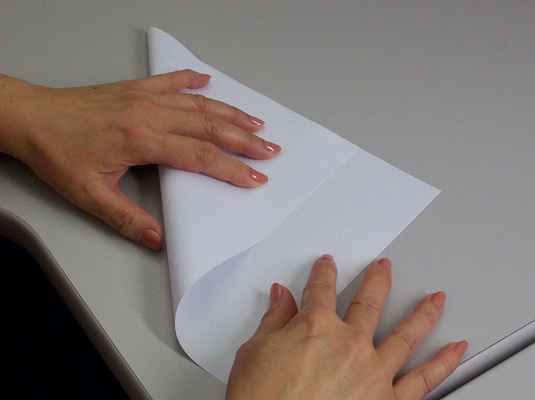 Fold the extra flap of paper over the edge next to it and make a crease. Try to make this crease as straight as possible. 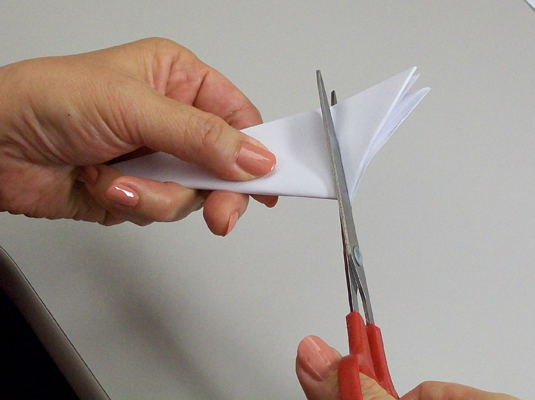 Unfold that flap and cut it off, following the crease you just made. You’ll end up with a long, thin rectangle (which you can throw away) and a perfect square (which will soon become a beautiful snowflake) folded into an isosceles right triangle. 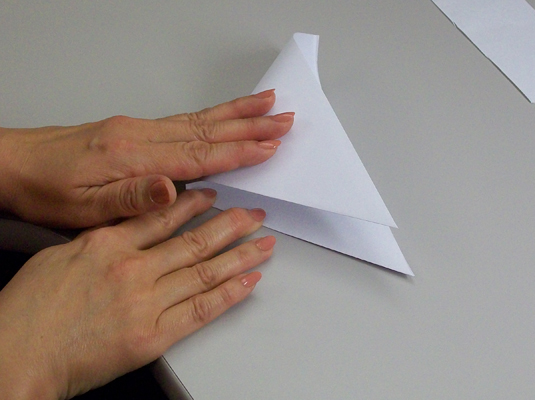 With the folded edge horizontally in front of you, fold the left corner over onto the right corner and crease. You now have a quarter-sized triangle. Fold the right corner up to the top corner and crease. Your triangle just keeps getting smaller and smaller. 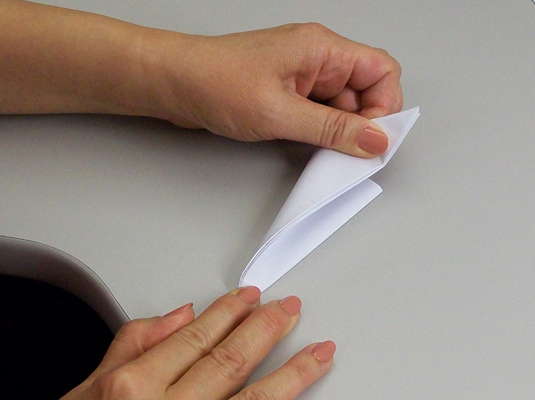 Fold the left edge over so that it lines up with the right edge and crease. 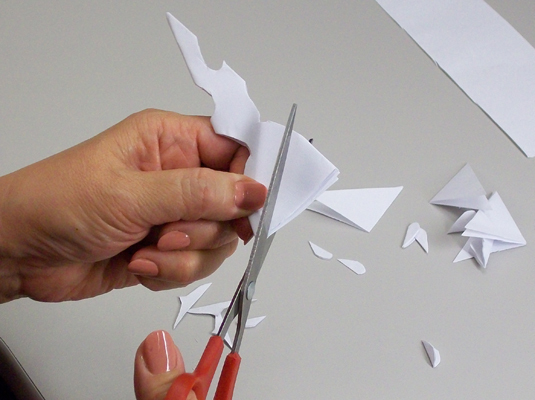 You’ll end up with a triangle at the top that hasn’t been folded as much as the rest. 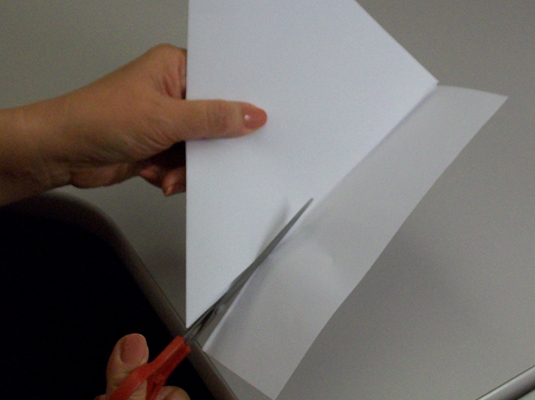 Flip the paper over and cut that extra triangle off the top. If you unfold the paper now, you’ll have an octagon. Cut shapes out of the edges of what's left. Keep in mind that the bottom point of the triangle will be the center of the snowflake. 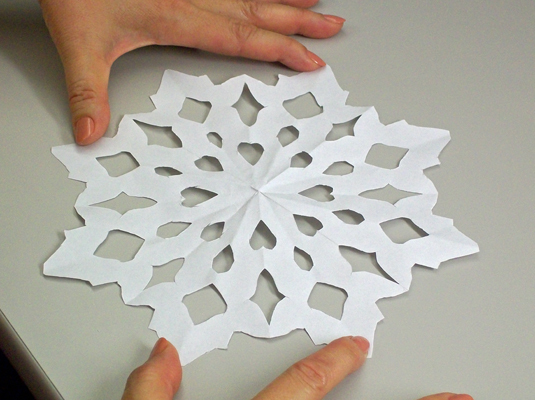 Unfold the snowflake and put it on display. With a little experimentation, you can figure out how to create some really intricate, lacy designs.